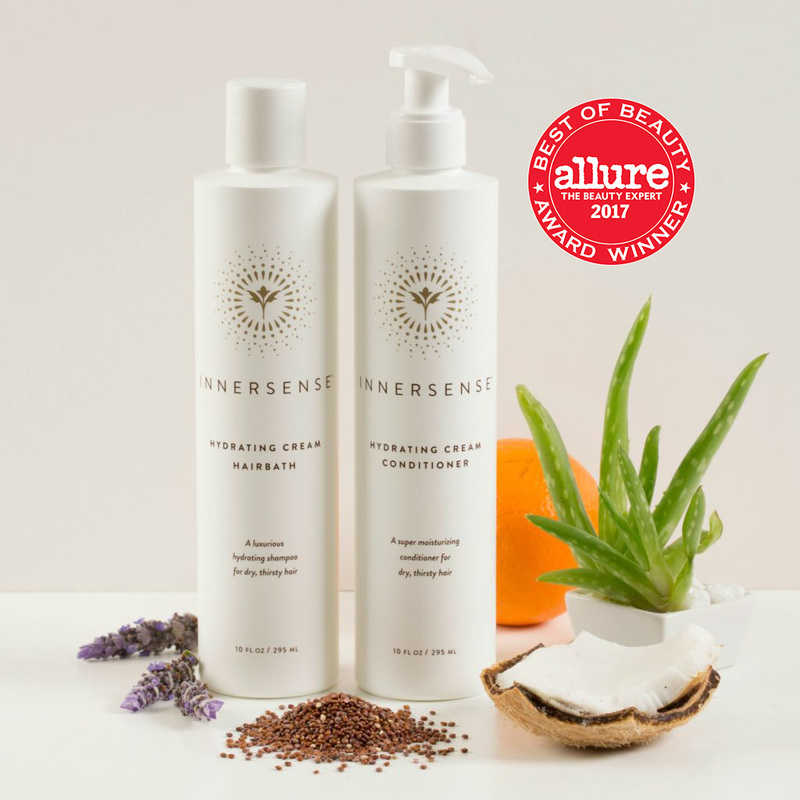 CONCORD, CA – 10/26/2017 (PRESS RELEASE JET) — Allure Magazine recently named Hydrating Cream Hairbath and Conditioner, the latest product launches by Innersense Organic Beauty, among its Best of Beauty winners for 2017. The shampoo and conditioner duo lands the Bay Area indie beauty brand its first coveted spot in the magazine’s annual award’s “Naturals” section, a collection of 17 clean beauty wonders. Hydrating Cream Hairbath and Conditioner launched in March, debuting the brand’s elegant packaging redesign and its third shampoo and conditioner duo. Hydrating Cream Hairbath ($28, 10oz) delivers gentle cleansing and nourishment to dry, coarse and thirsty hair with avocado and coconut oil, shea butter, jojoba, tamanu seed and rice bran oils. Hydrating Cream Conditioner ($28, 10oz) nourishes and mends hair with shea butter, tamanu, flax seed, avocado and monoi oils. Both offer deep, weightless hydration with grounding notes of vanilla and sage and are available in travel, retail and backbar sizes. A leader in the clean beauty movement, Innersense Organic Beauty spent two years formulating the duo in response to demand from its national and global salon partners, who desired an intensively moisturizing version of its popular shampoos and conditioners. For more information, visit innersensebeauty.com. After decades in “big beauty,” husband and wife team Greg and Joanne Starkman founded Innersense Organic Beauty after making the connection between the declining health of their peers and the toxins in the products used in-salon. The birth of their special needs daughter ignited that drive for clean, pure and beautiful products that would “care for the caregivers” in their beloved industry. The brand can be found in salons across the United States, the UK, Australia and Canada, as well as locations in Saudia Arabia, Macau and more.